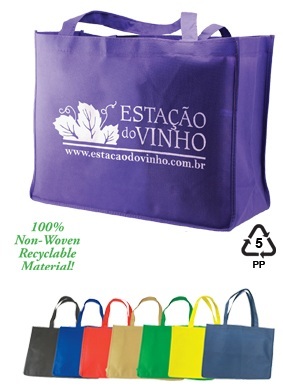 Custom tote bags are environmentally friendly and help to reduce Global Warming! Production Time: 5-7 working days after proof approval for 2000 or less pieces. 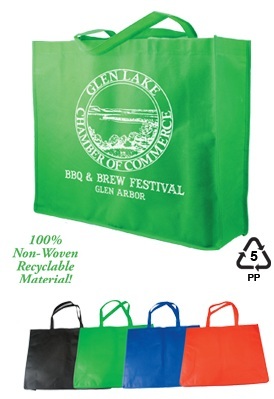 Product Dimensions: 16" w x 12" h, 6" gusset, handle approximately 19"
Product Dimensions: 20" w x 16" h, 6" gusset, handle approximately 19"